Our customers are family: we want to see you and work directly with you to better understand your needs and goals. By eliminating costs of dealers and middlemen, we save growers $20 to $40 per unit. We value our customers, so we are dedicated to providing the best value and service. It just makes sense. Seed Genetics Direct tests corn and soybean varieties in more than 40,000 yield plots from western Illinois to eastern Ohio. SGD walks fields and test plots collect field notes in addition to yield data, conducts field days, and much more through its testing area. This allows SGD to sort through the chaff and offer elite genetics that work for our customers and adhere to top industry standards, backed with a 100% guarantee replant program. SGD strives to be part of our customers’ agronomic teams as a trusted seed advisor. Seed Genetics Direct offers leading germplasm from the majority of major breeding companies and more than three dozen corn hybrids and soybean varieties. Soybeans include elite conventional, LL, GT1, RR2Y, and RR2 Xtend soybeans, with stewarded production of GTLL and GTLL 2,4-D once approved. Hybrid corn offerings include elite conventional, GT, GTBTLL, GTCBLLRW, Viptera, and Artesian trait packages. All are offered with proven stress and disease tolerance at reasonable prices. So, at SGD, there is a system and product that will work for everyone. We take the title of “seedsman” seriously and partner with customers to match hybrids and varieties to soils and management practices. We know what we sell and what to do to secure the best results in a timely manner. We then bundle that with discounts (early pay, early order, pallet builder) to provide the best, personalized offer with the most value in the seed industry. 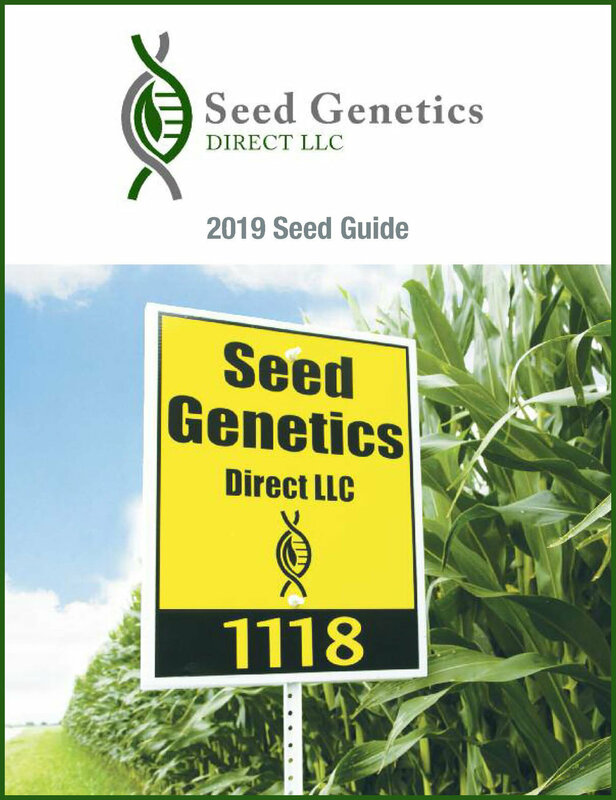 To learn more about SGD corn, bean and alfalfa products, check out the Seed Guide, call the office (740-505-6545) or email Chris Jeffries or Todd Jeffries (chrisj@seedgeneticsdirect.com or toddj@seedgeneticsdirect.com).